“Use it or lose it” is the received wisdom when it comes to cognitive ability. But is there any truth in this old saw? Our latest study suggests that it depends how much “it” you have to start with. Previous observational studies that looked at the effect of doing mentally stimulating activities, such as puzzles, on cognitive ability have largely supported the “use it or lose it” hypothesis. However, these studies have often been based on snapshots in time – so-called cross-sectional studies. To find out if there really is a link between mental engagement over a lifetime and cognitive ability in old age, you need to track people’s habits and mental abilities over a lifetime. Scotland is unique because in 1947 almost all 11-year-old children took the same mental ability test. The Scottish Council for Research in Education preserved these records and in 1998 allowed us to contact the surviving people who took the test. We tested people living independently without dementia on up to five occasions over 15 years. Demographic, clinical, questionnaire and psychological data were recorded at all assessments and related to changes in performance on repeated verbal-memory and mental-speed tests. Our results are notable because they include childhood intelligence data from a rare historical survey of intelligence. They showed that, in late life, levels of mental ability are strongly linked to current levels of engagement in problem-solving. Our study was able to account for childhood intelligence and education and revealed the rate of decline in cognition in late life did not differ between people who reported different levels of engagement. However, levels of engagement were associated with the performance at entry, aged 64. Childhood intelligence was associated with intellectual engagement, which raises the question: do smarter people engage more, or are they smarter because they engage? If the latter were true in late life, then we would expect some influence on the rate of decline. We have shown that intellectual engagement in this group of people without dementia is not related to later rates of cognitive decline. But engagement is linked to intellectual gain acquired from childhood to late middle age when we first started testing them. In other words, doing puzzles and other intellectually engaging things over a lifetime improves your IQ, so that when the inevitable cognitive decline sets in later life, you have a higher point to start from. The rate of decline is the same for all, regardless of the levels of engagement. At this stage, we can foresee how lifelong intellectual engagement contributes to protection from falling below some intellectual threshold where you would be considered impaired. This is achieved by starting from a higher point. Our findings are consistent with comparable studies that followed older people from age 50. We have identified problem-solving as being of specific importance. 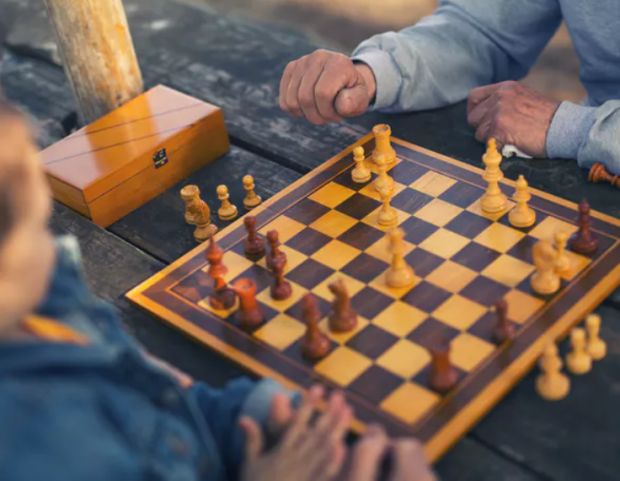 This suggests that interventions to boost resilience to ageing should include problem-solving components, such as reading complex novels, solving crossword puzzles and practising a musical instrument.